Child respondents challenge social scientists because their verbal, interactive, and cognitive skills are not just different from those of adults, but also vary among children. To develop adequate methods for interviewing children, we need to learn more about those skills in interview settings and their dependence on age. Based on 112 semi-structured interviews with children aged 5 to 11 years, we studied children’s verbal, cognitive, and interactive skills. Fifty-six children were each interviewed twice, once face to face and once via telephone. 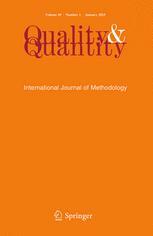 Through an innovative triangulation of qualitative and quantitative analyses, children’s skills and related gains and limitations of each interview mode were examined. The applicability of semi-structured interviews was evaluated with skills and respondent’s age in mind, and recommendations for conducting interviews are made.